LET'S LOOK AT...MY FAVORITE READS! Once a month, I link up with Erika and Shay for their Let’s Look AT… link-up. Today, we are sharing our favorite reads! You know reading is one of my biggest passions! When I was a teacher, it was a passion I tried to instill in my students. Getting lost in a fictional world of characters, reading true stories of heroes, reading to learn, reading scripture and growing closer to God - find the subjects you love and dive in! Read a book! Here are a few of my past Book Review posts! My goal is to be more consistent in sharing book reviews with you in 2019! First, this is my favorite Bible to ready daily. It is the One Year Bible. I have the leather one but you can also get the paperback version HERE. as well as a Psalm and Proverbs passage. Each of those are in order of the Bible. It is a great way to read scripture daily and also to read the entire Bible in a year! I love THIS Bible so much! Everybody Always by Bob Goff was one of my favorites from last year. The Redemption Series by Karen Kingsbury is a must read! Redemption is the first book of the series. You will fall in love with the Baxter family! The Redemption series consists of Redemption, Remember, Return, Rejoice, Reunion. You continue following the Baxter family in the First Born Series with Fame as the first book. The Above the Line series starting with Take One. and the Bailey Flanigan series beginning with Leaving. These are all SO GOOD!! Confessions of a Shopaholic and the rest of the Shopaholic series! Sophie Kinsella will make you laugh out loud! Many times I have woken Mark with my laughter while reading before bed. They are SO FUNNY! I also really loved It Ends With Us by Colleen Hoover. I have several others of hers to read on my bookshelf! I love almost all of Nicholas Spark’s books! Currently I’m reading Every Breath. Ok, your turn! What is your favorite book???? or favorite author??? Comment and tell me! I’m so excited about today’s post! But first, what did you think about the Super Bowl? Did your team win? We’ll be eating leftovers all week! Ok, are you ready for it?? These are absolutely my favorite posts to read and also my favorites to share with all of you! I was hoping to finish one more book over the weekend but it didn’t happen. So I’m sharing 5 books with you today and I’ll save that one for next month! First up, Let’s All Be Brave by Annie F. Downs. This book has been on my “to read” bookshelf for some time. I picked it up to read during my morning quiet time. I usually read one chapter of a book in the mornings after my bible study. I read one chapter and couldn’t stop thinking about it. I went back and read another chapter later that day. It had me intrigued. I ended up finishing the whole book in two days! This book is all about being brave - how we are all called to be brave in life whether we want to be or not. Annie shares her real life experiences as a single woman and her journey to being brave. It is honest and raw and you’ll find many of her stories humorous. Annie challenges us to live boldly without fear. There have been many times in my life where I didn’t make the brave choice. I chose comfort. I chose to stay where I was and with what I was doing because it was the safe choice. Other times I have been brave and taken a leap of faith such as switching professions. I was terrified to leave teaching but knew God was opening a bigger door/opportunity to go into real estate. I was sick to my stomach making that decision but God has blessed our family immensely. And if I am being honest, starting this blog was a brave choice that still seems scary at times. I worried a lot about what others would think. However, you guys have blessed me! This community has been such an encouragement to me and I am grateful for each of you! This book will inspire you, challenge you, and hopefully encourage you to step outside your comfort zone and follow whatever God is calling you to do. Let’s all be brave together! Next, I read One Day in December by Josie Silver and I really liked it!!! I felt like everyone was reading and recommending this book. And friends, they were right! It’s about a girl who looks out the window of a bus one day in December and makes eye contact with a guy who she is immediately drawn to in a way she’s never felt before. It chronicles their life over the next ten years. Their paths cross but in ways you wouldn’t expect. The main character is absolutely adorable! She’s funny and quirky and a character you’ll fall in love with! This one is an easy read. If you are looking for a good chic-lit book, this is it! So I am a little behind in reading this next series. Crazy Rich Asians by Kevin Kwan is the first book of a three book series. The movie came out last year and many of you may have seen it. I waited to see the movie until I had finished the book. To be honest, this book was a little slow for me. I had a hard time getting invested in the characters and following what was going on at first. I struggled to keep the characters straight and really get an image of them in my head. Do you guys do that? Immediately try to picture what a character looks like so you have a mental image…or is that just me? It is a fictional tale about a girl who leaves her home in NYC to visit her boyfriend’s family in Singapore to attend a wedding. What she didn’t know is that his family is crazy rich! A hysterical sequence of events occurs and you won’t stop laughing! I would say this one is a little chic-lit but great for those of you who want a little more “meat” to your reading. Lots of culture in this one that will make you want to book your trip to Singapore stat! Now, my question to you guys is that if you have read the remaining 2 books in the series, China Rich Girlfriend and Rich People Problems, what are your thoughts? Should I hurry and read those next? Did you love them just as much as the first one? Comment and let me know! Last spring, I read Girl, Wash Your Face by Rachel Hollis. I LOVED that book and became a HUGE Rachel Hollis fan! You can read my book review HERE if you missed it. Rachel wrote a fictional series of books and since I loved her writing, I picked up the first book, Party Girl. Friends, these characters are just precious! The book is loosely based on Rachel’s real life experiences as a wedding and event planner in Hollywood. Landon Brinkley leaves her home in a small town in Texas to head to Los Angeles. At first, the glamour of the lavish weddings and birthday parties made it worth working the crazy long hours at work. However, after a while, she finds herself having to choose between doing whatever it takes to get the job done or staying true to herself. Light, sweet, fun, easy read. Party Girl was just what I needed to read in the school car pick up line every afternoon! I finished this month with Swear on this Life by Renee Carlino. This book was so well written. I found myself really invested in the characters. I will say this book is a little R-rated at times. However, I thought it was well placed in the story bringing depth to the storyline and not just thrown in for the shock value. It does go back and forth between present time and the main character reading a book but I thought the author did an excellent job of making the book flow. It’s a love story that tackles some tough issues of alcoholism, abuse, and growing up in foster care. It was the perfect book to end January! Ok, what should I read next? I’d love some suggestions from you guys! I’m linking up with the Hello Monday girls! I absolutely LOVE to read and usually I read TONS in the summer. But friends, this year I didn’t read as many during our summer months! We traveled, we swam, we watched movies, rode bikes, went for walks, stayed up late, had friends over, and I guess we were just having too much fun! Haha! I read a lot in the evenings before bed and I think moreso in the winter months when it is dark outside by 6:00pm. Because let’s be real…when it is dark at 6pm, I’m already showered and in my PJs and ready to be cozy for the night! So hopefully, my reading will pick back up! My goal is to read more in September. Hold me to it! Claire has trouble saying “No” and setting boundaries to balance her life as a wife, mother, and artist. So when asked to chair the social event of the year for Nantucket, she knows she will handle it. However, when planning begins she is introduced to Lock Dixon and sparks begin to fly. Claire quickly finds the gala and her life spinning out of control! Light and easy read I think you’ll enjoy if looking for a good chick-lit book! And you just cannot go wrong with Elin Hilderbrand! Sophie Anderson is a mother of two whose husband has just left her for another woman. Trying to regroup and figure out what to do, she decides to rent a cottage on Nantucket from her friend, Susie Swenson. A single father who has recently lost his wife, Trever Black also decides to get away with his little boy for the summer and rents a cottage from his friend, Ivan Swenson. Discovering they have both leased the same cottage, they decide to try to make it work and share the house. Sophie and Trever become close as they share their summer together. 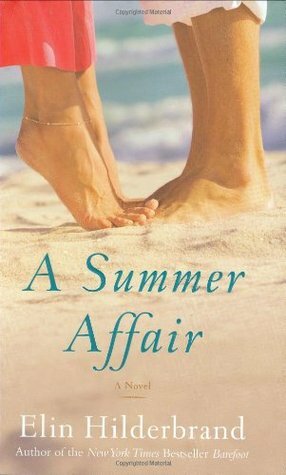 A sweet romance makes this the perfect beach read! Nancy Thayer is becoming one of my favorite authors! If you have read some of hers, tell me which one I should read next! Oh my goodness!!! This was one of my very favorite books to read in a long time!! Thrilling and suspenseful with so many twists and turns you won’t see coming! 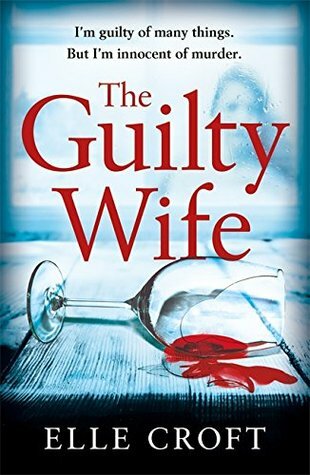 Bethany is happily married however she is having an affair with one of her famous clients. Until…he is brutally murdered. Someone knows her secret and she begins receiving threats. Who is the murderer? Who is behind the threats? This book is gripping until the end! I COULD NOT put this one down!! Highly recommend adding this one to your reading list! This book has been so popular this summer! And I loved it too! I don’t want to give too much away but this one reminded me of The Royal We. It has all the feels! Friends, I flew through reading this one! It is THAT GOOD! The book is a fictional tale about a young American woman, Ella, who earns a Rhodes Scholarship and spends a year studying at Oxford. She starts a casual fling with her English Lit professor, Jamie Davenport. Jamie has a secret holding him back from allowing their relationship to become much more. This book will captivate you. It is unpredictable and absolutely fantastic! You'll laugh, cry, and you'll be angry at how hard life can be sometimes. This book has it all! Read it! This book was another favorite this summer. However, it is R RATED so be aware! This book is the third book in the Devil Wears Prada series but you really don’t have to read the other two to read this one. I think it can totally stand alone. This book follows Emily who used to be Miranda Priestly’s assistant at Runway. Emily is now married and living in LA and is a consultant to the stars. Lately, she has been losing clients and needs to turn things around. At the same time, a former supermodel turned Senator’s wife has been arrested for a DUI with a car full of kids, including her stepson. Karolina becomes the most hated woman in America while her husband is already moving on with a new woman in his life. She is losing her stepson and her life is unraveling when Emily enters the picture. I adored this book. And you can’t go wrong when it comes to Miranda Priestly making an appearance! I felt like everyone was talking about this book. It was all over social media and I had several friends recommend it. It was SO GOOD! It is all about how we need to love one another. We need to BE love. Bob Goff is an excellent storyteller. He gives examples of using your every day circumstances to be an example like Jesus loving others well. Friends, I underlined constantly in this book! There was so much I wanted to remember and look back on and I have already gone back to reread some of it. I told Mark he needed to read it next although he may need his own copy! Ha! 😉We all need this reminder to love. Love is an action and the response we should give every single time when faced with family, friends, and acquaintances each day. Even if you are not a reader (I’m looking at you Alyssa! 😊), you need to read this one! I promise you’ll love it! That wraps up this book review. I hope you find one or six you enjoy! I’m always keeping a list on my phone of what to read next. Honestly, the list is getting long. There just isn’t enough hours in the day to read all the books! I keep saying if that if I could get paid to read, it would be my dream job! If you know how to make this dream come true, let me know! You’ll be my new BFF! And if you have any MUST READs, please leave me a comment! I’d love to hear from you! Hey friends! It's Book Review Day! All you bookworms are right there with me! I've got THREE new books to share with you! The first book I read this month was If You Only Knew by Kristan Higgins. This is my first book to read by Kristan Higgins and I was so excited about starting it! And it did NOT disappoint! This is a total chick lit, read by the pool or on the beach this summer book. The story is about two sisters. One sister moves from New York to the suburbs after going through a divorce. She is a wedding dress designer and opens a new store hoping to start over. However, her ex and his new wife make that difficult as they seem to still be around all the time. The other sister is a stay-at-home mom to triplet daughters. She goes through some trying times in her marriage. I loved the characters and really didn't want the book to end. I wanted to keep up with these girls! This book was super cute and a great way to start off my month! 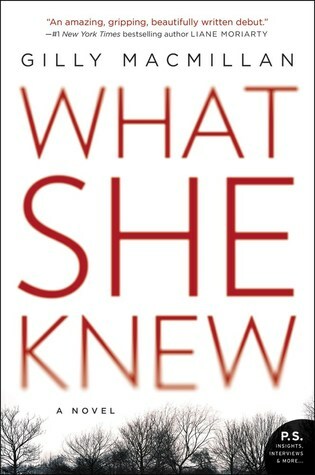 The next book I read was What She Knew by Gilly MacMillan. This book sucked me right in from the beginning! The title gets in your head because the whole time you are trying to figure out who the "she" is and what did she know?! Ha! The story is about a mom's son who goes missing while on a walk in a park. The blame game begins along with following the investigation to find out what happened to this little boy. Let me tell you, I kept my kids a little closer while reading this one. There are some raw emotions in this book that will get you thinking. Such a good book! I highly recommend this one to add to your list! I had never heard of Rachel Hollis but I really want to be her friend. She's the type of girlfriend you need around to speak truth and share wisdom. Rachel is a wife, mom, blogger, Christian who is just flat out FUNNY! She is relatable and shares about life and loss and everything in between. She is raw and honest and I was so uplifted by her book! She is encouraging and writes directly to us women! Girls, read this book! You will have a new perspective on loving yourself and living life! And if you haven't tried Audible, give it a chance. I still much prefer to actually read a book but I'll definitely have one book ready to listen to as well! Have a great Tuesday, friends! !